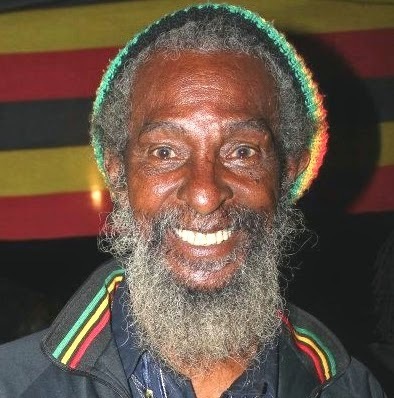 Emsly Smith also known as Baba T has been described as a living "Reggae Encyclopedia". He left Jamaica in the 1960's for London, and worked as a class 2 engineer at the post office. In his free time he would sing in a choir as lead vocalist, and DJ for house parties. He also opened up a record shop specializing in Afro-Caribbean music. In his spare time he would DJ for Austrian clubs and helped to organize successful concerts. In 1988 Baba T was invited to play at a wedding in Tanzania and felt like he was home. The following year he packed up his bags and returned to Tanzania, where he's been to this day. It was not long before he found his way to the airwaves playing for a national broadcaster. Later he joined the fledgling East Africa Radio as one of the founding DJs. You can hear him every Sunday on Lover's Rock. Speaking today on his 78th Birthday Baba T says that he has travel in many countries around the world he has committed every sins and he is living by the grace of God. He further added that the ”rastas” believes that God never forgive any one sins but he only give chance for an individual to repent and live better life in order to live longer. For now God has helped him to see grands and grand grand children and he still believe to saw more on his life on the earth. Baba T gave the advice to the parents to teach their children on good manners and avoid living the western life and life of mediocre which in the end cost the life of the youth as most of them end in drugs and immoral deeds. To many young talents has to learn much on the life he has lived and on music career this blog wish a long life to him and may his legacy live forever.